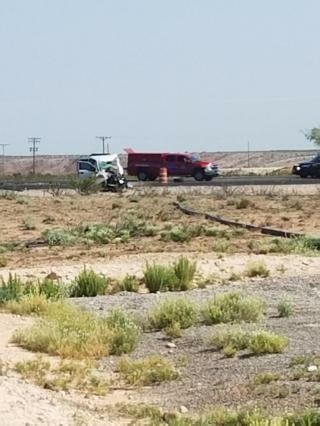 An Artesia man was killed Tuesday in an accident on U.S. 82 east of Artesia. The wreck occurred at around 6:20 a.m. Tuesday at mile marker 119 between Riverside and Loco Hills, near Turkey Track Road. 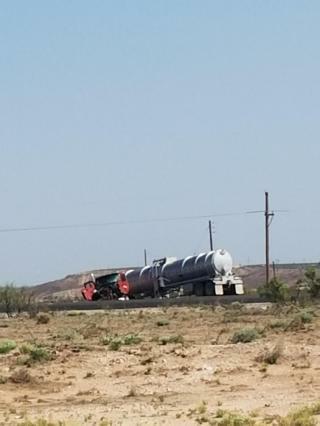 Initial investigation by the New Mexico State Police indicates a 2015 Ford pickup, driven by David Lewis, 50, of Artesia, was travelling eastbound on U.S. 82 when, for reasons still unknown, the Ford crossed into the westbound lane, colliding head-on with a 2019 Peterbilt semi truck. Lewis sustained fatal injuries and was pronounced dead at the scene. His passenger, whom family members have identified as his son, 28-year-old Brandon Lewis of Artesia, was airlifted from the scene to Lubbock, Texas. University Medical Center in Lubbock confirmed to the Daily Press this afternoon that Brandon Lewis remains in critical condition in the surgical ICU. The driver of the Peterbilt, a 49-year-old male, was also injured in the wreck. The NMSP say alcohol does not appear to have been a factor, but it does appear seatbelts were not properly utilized. The accident continues to be investigated.